Making a living. Making a difference! 828 Media is an innovative production force created and led by Mike Simpson, award-winning producer credited with many of the most successful programs on targeted national television. 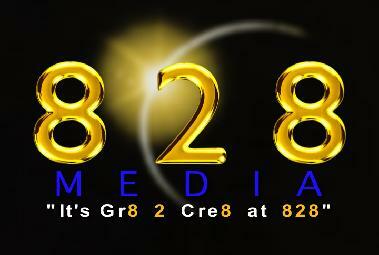 828 Media offers quality, innovation and creativity. From consulting to producing and directing, to pioneering new marketing techniques, 828 has a track record of successful projects. When you need that next creative home-run, look to 828 Media, a proven force. For the last two years, 828 MEDIA has been producing documentaries and special projects for ACEF, an organization dedicated to finding best practices for designing and building educational facilities. "88 Days: From Ground to Green," is a half-hour program chronicling the rebuilding of Greensburg Kansas' school system after the town was leveled by a tornado. The program was shot partially by students. It was great fun to write and edit. "Designing the More-Secure Stadium: In a Post-911 World" is another full length production currently under production. More to come. This shoot was great fun. Seen in this picture are Mike Simpson of 828 MEDIA, snowboard champ Louie Vito, professional dancer Chelsie Hightower, Singer Songwriter Jewel, and Ty Murray. The shoot occurred on the Murray ranch and aired the next week on Dancing With The Stars. It was just as funny on scene as on screen with Ty and Chelsie giving Louie a hard time as he tried to prepare for the Texas Two-Step dance, by "getting his cowboy on." 828 Media recently relocated its headquarters to the shores of Proctor Reservoir in Comanche County TX. The 400 acre estate with plenty of black bass and whitetail deer, hybrids and hogs, cottontails and crappies, presents a creative atmosphere where media magic can occur. New construction and remodeling of existing structures will provide plenty of work space for editing, eventual studio space and other production requirements. The 828 estate lends itself to outdoor production with lake views, and a variety of wooded and brush scenarios. This home on the range has a truly wide range of production options. 828 media also has offices in Dallas for planning and project review. No matter what size the project, from local commercials to national television series, 828 Media invests the same level of creativity and energy. Every program deserves the best.